This “cheat sheet” — a simple, concise guide to performing a basic, standard marriage ceremony — is included in your ordination credentials packet, and provides you with the framework for planning and designing a custom, personalized wedding ceremony with your couples. Click here to download a copy of the Wedding Ceremony Cheat Sheet. This is just a guide to get you started. Each ceremony is unique, so feel free to adapt the format to fit your situation. Please note that this sample wedding ceremony script uses male and female pronouns; you may substitute other pronouns as appropriate for your ceremony. 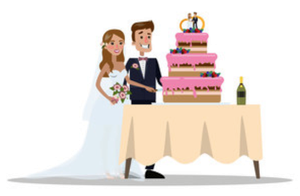 The parties to the marriage must themselves obtain a valid marriage license from the office of the county clerk (or from the designated issuing authority within their jurisdiction) and present it to the Wedding Officiant before the marriage ceremony. The Wedding Officiant performs the marriage ceremony; an example of a standard ceremony is included on the back of this page. The ceremony may be personalized to meet the bridal couple’s preferences, and they may even write and exchange their own vows as long as those vows reflect their intentions to enter into a legally-binding commitment to each other. 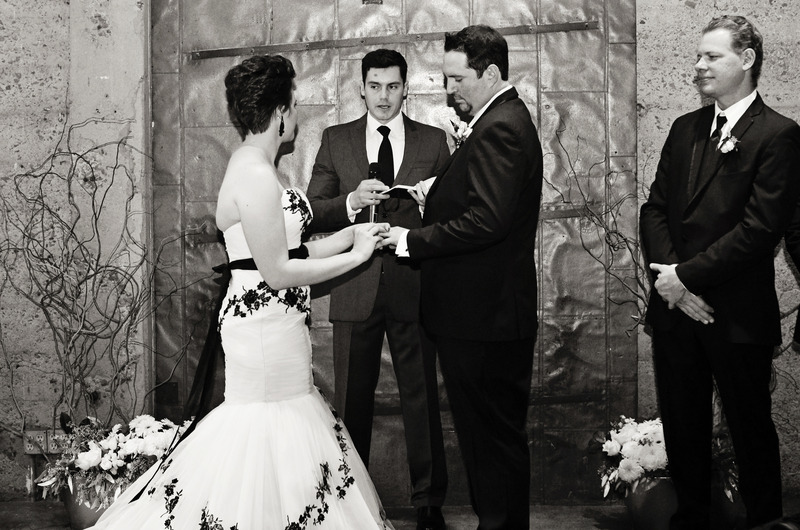 The Wedding Officiant is responsible for completing the certificate portion of the marriage license and returning it to the proper issuing authority within the legally stipulated timeframe after solemnizing the marriage. Please read the marriage license instructions before the ceremony. The Groom, Best Man, Groomsmen and Officiant will generally assemble first at the altar, after which the Maid of Honor and Bridesmaids enter up the aisle, followed by the Flower Girl and Ring Bearer. Finally, the Officiant invites the guests to rise as the Wedding March is played and the Bride is escorted to the altar. The Officiant invites the guests to be seated, then welcomes everyone and announces the purpose of this gathering, which is to unite the Bride and Groom in matrimony. The Officiant or a guest may read a passage from a favorite poem, story, prayer or sacred tract that has been chosen by the Bride and Groom. The Officiant explains that marriage is a legally binding commitment that both parties enter into with mutual consent, and that entering into a marriage changes the legal status of both parties and gives each new rights and obligations. The Officiant then asks the Bride and Groom, in turn, if it is their intention to be married to each other at this time. If each answers affirmatively, the Ceremony proceeds. The Bride and Groom may also, at this point, read or recite their own personal vows or expression of love to each other. The Bride and Groom exchange rings, repeating “I give you this ring as a token and pledge of my constant faith and abiding love” as they place the ring on the other’s finger. The Officiant makes the official public pronouncement of marriage, then introduces the couple to the guests for the first time as Husband and Wife. Following their introduction, the married couple exits down the aisle, followed by the Best Man and Maid of Honor, and the other members of the bridal party, generally in the reverse order of their entrance. The Marriage is not legal and cannot be registered unless the Marriage License is signed by the Bride and Groom and witnesses (if required), and completed and returned to the issuing authority in a timely manner. Do not leave the wedding ceremony venue without making certain that the Marriage License is correctly signed and completed! At minimum by law in nearly every jurisdiction, the ceremony must include language spoken (or repeated, or agreed to) by the parties to the marriage through which they acknowledge their binding mutual commitment to each other. The following is a sample of commonly-used wording that meets this requirement. Are you legally authorized to perform marriage ceremonies in your state? The ordination process is fast and easy! Click here to request ordination now. Have a question or comment, or need more information? Contact us! Wedding ceremony artwork by ArtInspiring.